Check out Tobi's Say Something Tassel Earrings With earrings, the bigger the better. 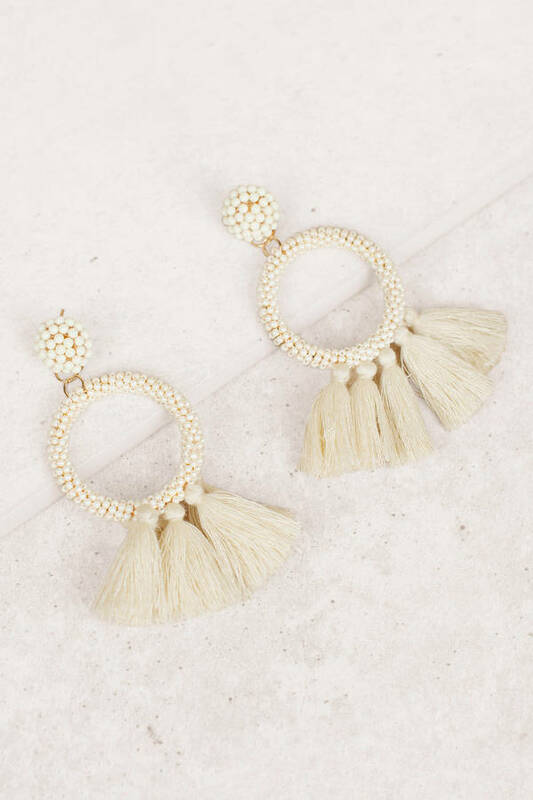 Get your hands on the Say Something Ivory Tassel Earrings to complete all your brunch looks. These statement earrings feature a beaded hoop with hanging tassels that are so flirty and cute. Put your hair up to show these fun earrings off and pair with a day dress and espadrilles! With earrings, the bigger the better. Get your hands on the Say Something Ivory Tassel Earrings to complete all your brunch looks. These statement earrings feature a beaded hoop with hanging tassels that are so flirty and cute. Put your hair up to show these fun earrings off and pair with a day dress and espadrilles!